The bylaws are available for download here. Click here for the current iteration of the Registry. 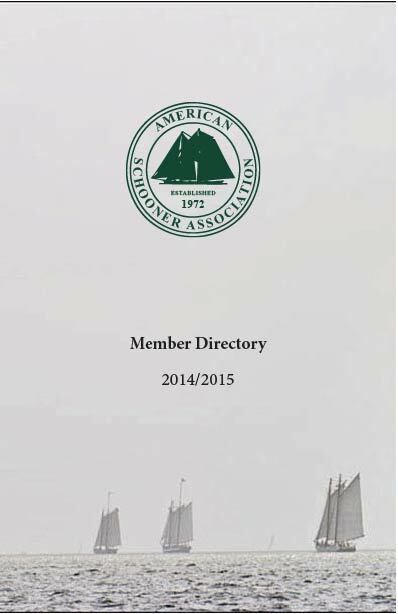 The following resources are available only to paid-up members of the American Schooner Association who have had their web accounts activated by the webmaster. If you are a member and would like to be granted access please email asa@amschooner.org (be sure to include your username). Presentatins made by the Board of Governors at the Annual Meeting are available here. A publication of the ASA, distributed to all members. The publication has brought to life the lives of many schooner yachts and working vessels, and provides up to date information on schooner related events, member commentary, activities of the Association and other activities of people and groups interested in traditional vessels. Join up and receive your copy soon. Current and back editions can be viewed by clicking here or can be purchased on request. 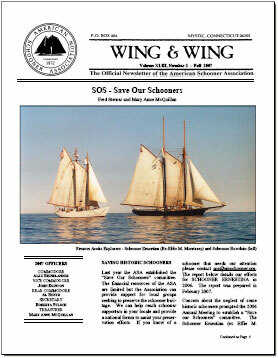 We encourage all members to contribute to the newsletter by submitting articles and regional and chapter news to the editor at editor@amschooner.org. An online publication of the ASA, available to all members. It is a complete listing of the Association membership, including contact information and a listing of members' boats.